Enterprise grade functionality available for publishers of all sizes. Veeplay supports VAST, MRAID and VMAP formats & works out of the box with any IAB compliant ad-server including Google IMA. Veeplay supports video & ad playback on Apple TV, Android TV, Chromecast, Google Cast, Amazon Fire TV & Nexus Player. Veeplay supports H.264 encoded videos in either MP4 or HLS containers across iOS, Android and Windows. Veeplay tracks all key metrics that help you understand how users are consuming your content. 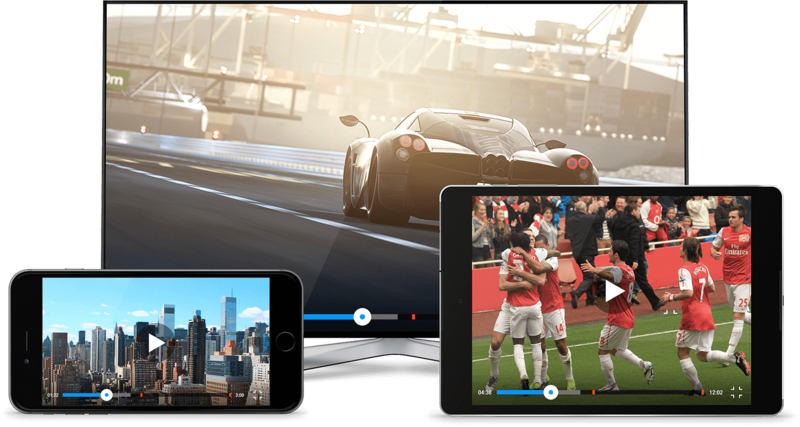 Reach more audiences across international markets with integrated support for closed captions and multi-track audio files. Veeplay’s on-screen controls & skins can be customized to match any branding delivering a beautiful viewing experience every time. Veeplay is simple to integrate & test inside your mobile app. Give it a try now! Need help? Ask anything or find answers on our Github page. Veeplay comes out of the box packed with all the features and is licensable on a “per app per platform basis”. Volume discounts are available. "Veeplay unlocked mobile video advertising for Markíza and allowed us to deliver a great video experience to our users while not compromising on monetization options and security." WANT TO SEE VEEPLAY IN ACTION? DOWNLOAD OUR DEMO APP!